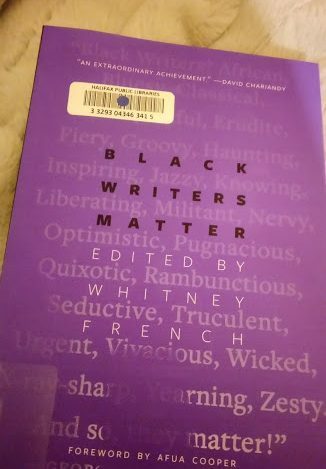 I was attracted to this book right away – partly because I was curious to read what these authors had to say (especially after falling so hard for Black Berry, Sweet Juice by Lawrence Hill) and also, I have to admit, because of the vibrant purple cover. There are twenty-five entries in this book, including the foreword and introduction. Stories from all over Canada, from writers with a wide variety of backgrounds and experiences. The contributions/stories/essays are so varied, there was no getting bored. Most of them either taught me new things or made me see things in a new way. And I spent almost as much time googling the authors as I did reading their stories! I would love to be able to write about every piece, but there are too many. I imagine different stories will resonate with different readers – here are the ones that stood out for me. Becoming a Shark by Phillip Dwight Morgan is fascinating. The premise of this story is the observation that Black people remain “curiously absent” from depictions of Canada’s wilderness. The narrator talks about how many Black people have “internalized this messaging” to the point where Black comedians use it as fodder for their jokes: “But why would Black people willingly participate in a sport where they have to put a rope around themselves?“. There’s a certain insidiousness to these narratives, a flexibility and dynamism to the process of othering that aches deep within my belly. 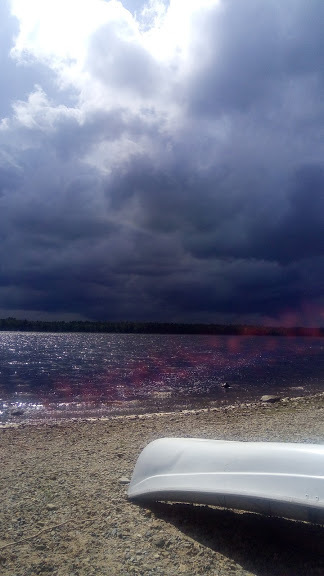 As a young Black man from Scarborough studying history, the issue was not only that my family did not have a canoe or tent or ski poles or a cottage but, also, that we didn’t feel like we had any basis for laying claim to those spaces. Ultimately, his trip across the country “was, at its core, a search for home, an ongoing quest for belonging in a country that is as much hostile and dangerous as it is rewarding”. Perhaps an effort to stop the question: “But where are you really from?”. Kyla Farmer traces her ancestry on her father’s side to African Nova Scotian communities near Shelburne and Digby, right back to Jupiter and Venus Farmer. She encourages readers to be telling these stories rather than covering them up. Among the many things that fiction does, I note the following: it bears witness to our times, it reflects the inner and outer forces that sustain or threaten to destroy us, and it constantly reminds us of who we are. I highly recommend this book. The copy I read is from the library, but it’s at the top of my wishlist to buy so I can pass it around and share it with as many people as I can. My review of Black Berry, Sweet Juice by Lawrence Hill, and interview with my sister about being both Black and White in Canada. This sounds great. Having read UK and US collections on a similar theme, I’d love to read these pieces from a Canadian perspective. Yes, good idea! And I’d love to read the UK and US perspectives. Are there specific titles that you’d recommend? I’d definitely start with The Good Immigrant and The Good Immigrant US! Definitely a book maybe we should all be reading for a better understanding. And thanks for the extras, I’m going to check out your links. I wish I could press a copy of this into everyone’s hands! This sounds so interesting. An ilustration of diversity, rather than people being slotted into the same pigeonhole simply becuse of their skin colour. 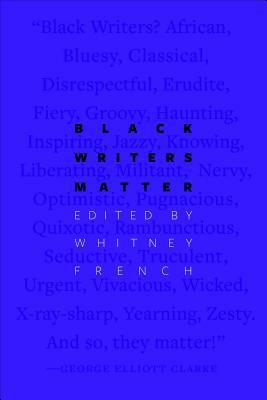 That’s what I found so powerful about this book – despite the fact that these writers come from vastly different backgrounds and experiences, they all have experienced anti-Black racism. Wow, this sounds wonderful. I’d seen it around but didn’t realize it was Canada-specific — that’s awesome though, I can’t wait to pick it up. Great review! I read The Fire This Time last year, an anthology of Black writers I loved, but it was focused primarily on the experiences of African Americans — the Canada-centric approach of this interests me, and I’ll have to track down a copy sometime. And now I want to read The Fire This Time! I really like the sound of this review. It’s so heartening to see books like this being published, lifting up voices we so rarely hear from. I absolutely loved looking up all the new-to-me authors. I wish I could have highlighted every single one of them! This sounds fascinating. I feel like these are voices and experiences we don’t hear much about in Canada. I’ll definitely look for this one. That’s on of the reasons I loved it so much – I loved hearing all the new (to me) voices! Thanks for a great recommendation, these are all new writers to me! This sounds so good. I really enjoyed The Fire This Time and it sounds like a great Canadian counterpart to that. Thanks for reviewing it. 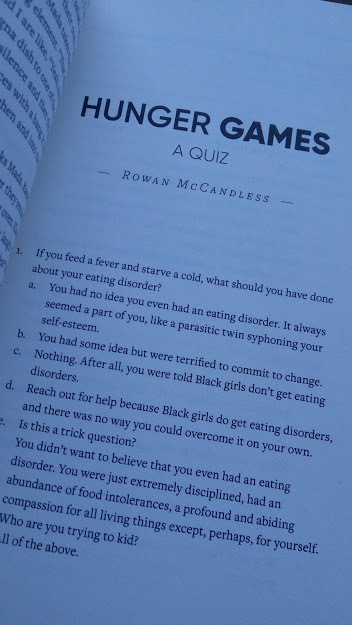 Ooh, the quiz-style essay sounds particularly awesome. I love when authors play with form like that and the page you shared seems like a great look at an important topic. “Hunger Games” really stood out because of its structure. And the good news is that all the other pieces are great, too!